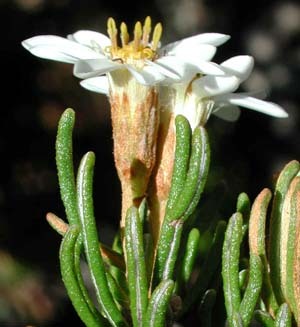 Olearia ledifolia is a dense alpine shrub that is common in the eastern mountains. The leaves are thick, revolute margined. 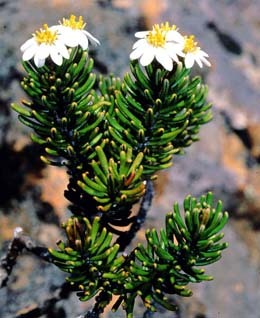 It is often confused with the unrelated species, Orites revoluta.